Some of my favorite memories are from visiting national parks – both growing up, and with my own kids. Every National Park in the US has something unique for kids to see, do and learn. A family vacation becomes an adventure when you visit a national park! To help you plan a fantastic national park vacation with kids, I’m sharing my tips and the programs available so you can make the most of your time at the park. 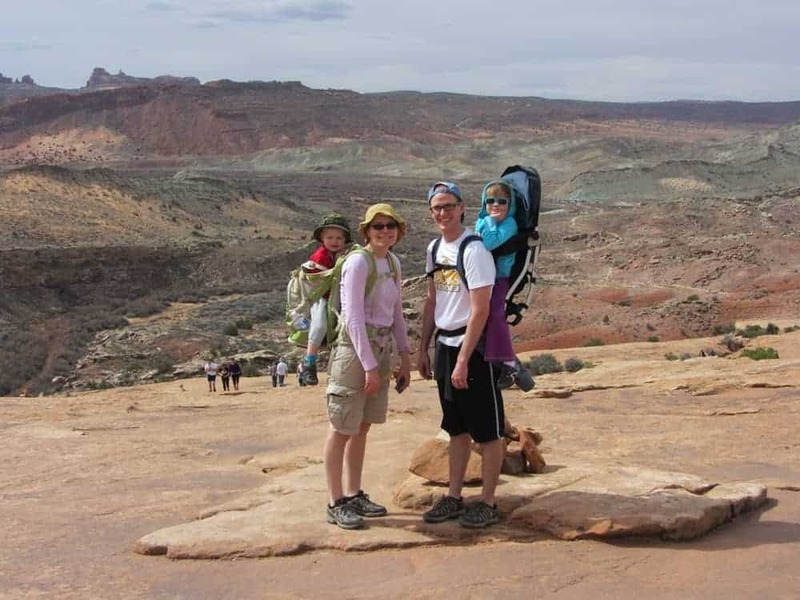 In addition, we asked some traveling families to share tips for visiting their favorite US National Park with kids. Many US national parks have gas stations, restaurants, stores, luxury lodging, and are easily accessible. Others are more remote and only have basic services (restrooms and water) at the entrance to the park. 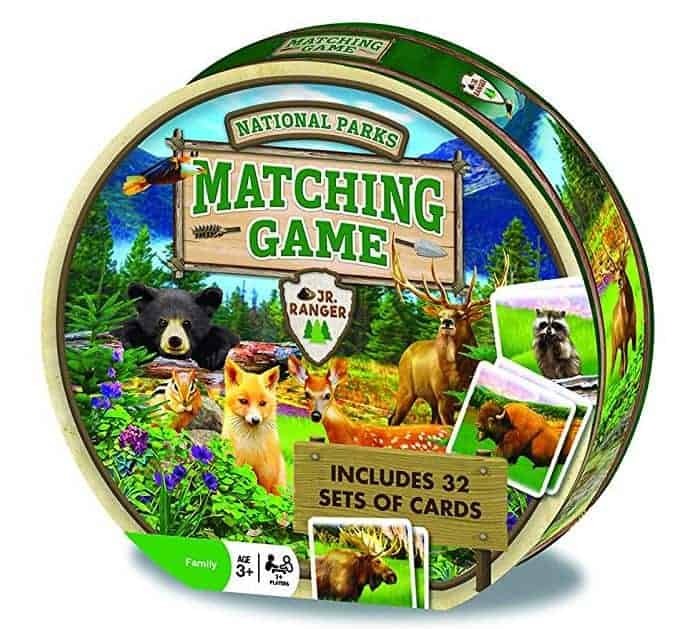 When you travel to a national park with kids, you must research the park amenities so you can plan and pack, not only for the trip, but for the time spent in the park. • Do you know where all the restrooms are in the park? • Are there places to refill water bottles in the park? • Do you need to pack food and snacks for your time in the park? • What will the weather be during your stay at the park? Packing the right clothing and gear, and being prepared for various circumstances that may happen, can make or break a national park vacation with kids. We created National Park Packing Lists that are pretty comprehensive. You may not need every item, so modify the list based on the activities you do and the time of year you visit. If you plan to do any day hikes, refer to our hiking gear list and tips for day hikes with kids to make sure you have all the essentials packed and ready. PACKING ITEM #1 should always be The America the Beautiful Annual Pass! BUY THE NATIONAL PARK PASS AT REI and they will donate 10% of sales to the National Park Foundation. Every Kid in a Park Pass: Did you know fourth graders in the US can get in free to any national park or recreation area that charges an entrance fee? The Every Kid in a Park program is available for kids in fourth grade, through the following August. Just fill out a short questionnaire and print out the form. 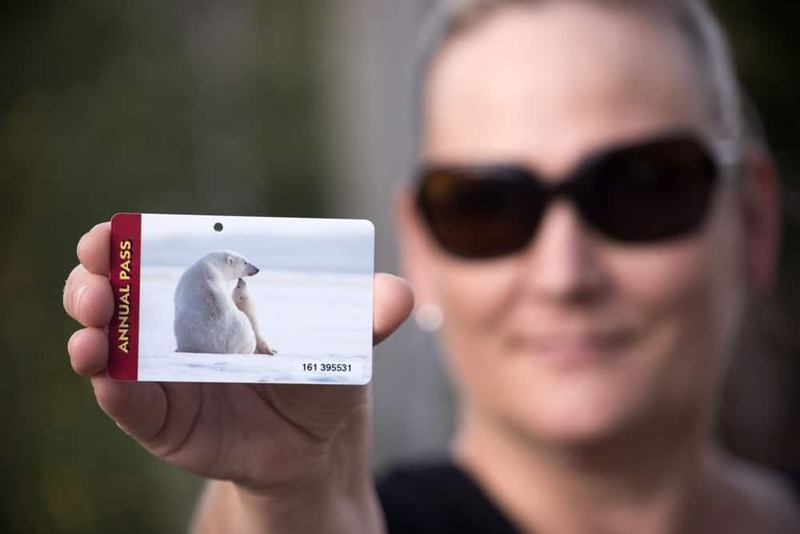 Then exchange the form for your pass at any place National Parks annual passes are sold. It’s the perfect excuse to visit at least one national park that year with your kids! RELATED: Why the National Park Pass is Worth It! Beyond hiking and sightseeing, kids can enjoy a variety of national park activities to satisfy almost any interest. Fishing, historic villages, cannons, sand dunes, old forts, animals, ruins, and more. We took a trip to Dinosaur National Monument, following the interest of our then-four-year-old, and it was a huge success! 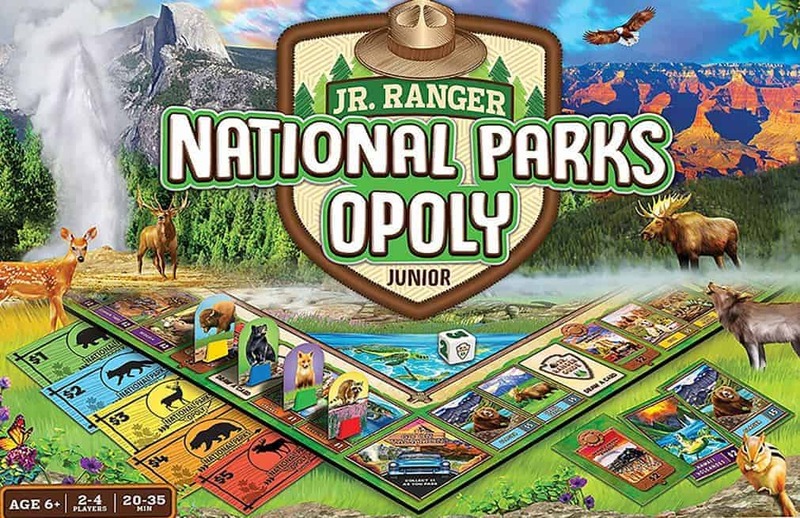 The Junior Rangers Program is one of the best ways for kids to learn about the national parks. Children ages 5-13 can pick up a booklet at a park visitor’s center to see the activity requirements for that park. 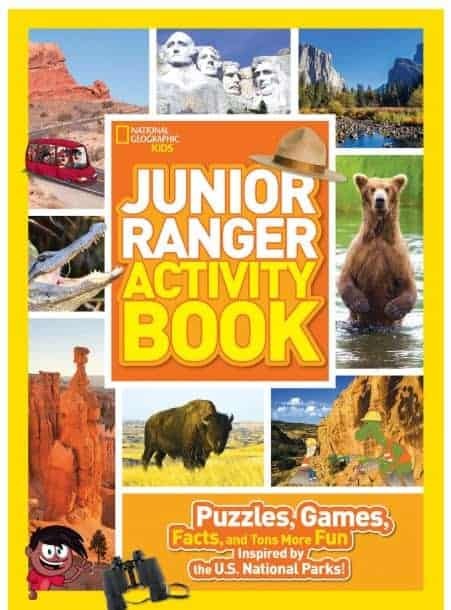 Once the booklet is completed, a park ranger will swear your child in as an official Junior Ranger, and they will receive a sticker, badge, or patch. The Junior Ranger program is one of the best activities you can do when visiting a national park with kids. 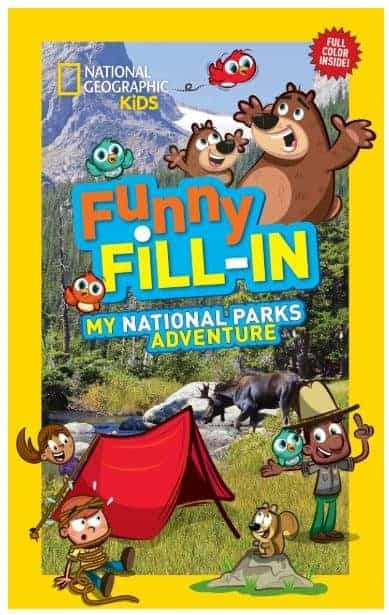 Check each national park’s website to see if they offer special “for kids” programs and activities. Many locations have kid-oriented nature walks, programs, classes and more. Also, be mindful of activities that may prove difficult for kids’ attention span – long tours, bus rides, lectures, or difficult hikes. You don’t want to plan a 2 hour cave tour with a toddler who can’t sit still! 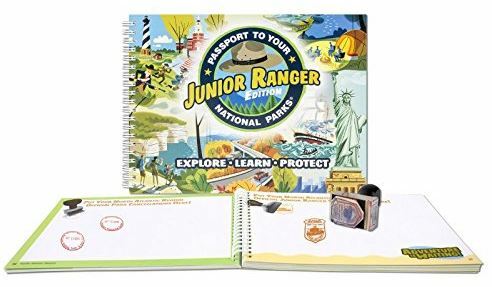 If you plan to visit a few national parks, there is a fun souvenir you can get called the Passport to Your National Parks (regular or junior editions). After purchasing the passport, you can add a stamp or sticker from each location you visit for free. The passport doesn’t take up a lot of space, and it’s fun to keep all the memories together. Thank you to the families who shared their tips about visiting these 15 US national parks with kids. These tips will help you plan your next national park family vacation! Acadia National Park is a fantastic natural area to visit with kids. There are numerous easy hikes suitable for all ages. Families will enjoy hiking through spruce forests, rock scrambling among oceanfront granite rocks and meandering through ponds and lakes. Many hiking trails involve gentle walking paths, tidepools, and provide scenic overlooks. TIP: We made a list of family-friendly hikes in Acadia National Park. Our favorites are Ocean Path, Bubble Rock and Bar Island Trail. For the more adventurous there are longer hikes that involve mountainside climbing and steep inclines such as Beehive, Gorham Mountain, and Precipice Trail. Due to Acadia’s location in the northeastern corner of Maine, it is not the easiest to get to. However, it more than makes up for it due to its’ natural beauty and rugged coastline. Although summer is the busiest time of the year in Acadia, it does not draw massive crowds like other more popular national parks. I highly recommend a visit to Acadia National Park if you are visiting the northeast with your family. There is more to see at Arches National Park than the 2,000+ natural arches. You can also see balancing rocks, stone fins, windows, petroglyphs and more! 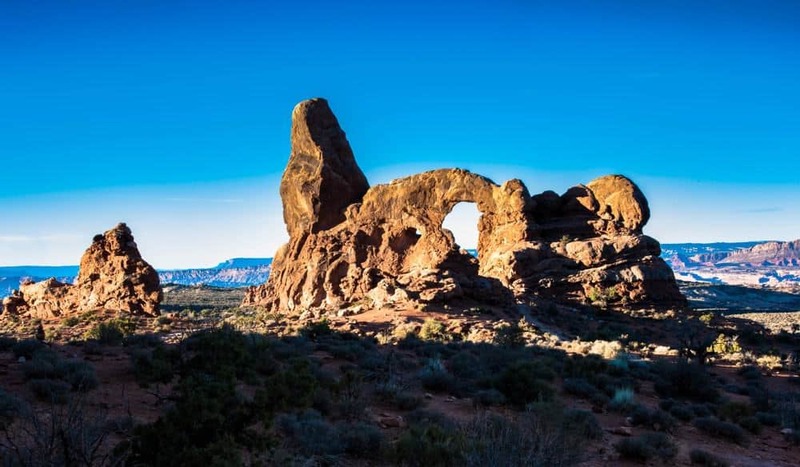 There are many hiking trails in Arches, but there are a few places in the park that are suited for kids. You aren’t allowed to walk on the arches in the park, but the Windows area is a short loop trail that allows you to scramble around the rock formations in the area. It’s perfect for kids with energy! Don’t forget to visit the Double Arch across from the Windows. Be sure to watch your kids here since it’s a steep climb to the arch opening. We recommend you visit this area first, or you may not get a parking spot! TIP: The one place you can’t miss when visiting Arches National Park with kids is Sand Dune Arch. You walk through fins to a hidden arch surrounded by sand. This area is fun when it’s shaded and the sand is cool. There are so many other things to see and do in Arches, as well as exploring nearby Canyonlands National Park. With its remote location in southern Texas, Big Bend National Park certainly isn’t one of the most visited parks. However, our time in Big Bend far exceeded our expectations, and we can assure you it IS worth the long drive! 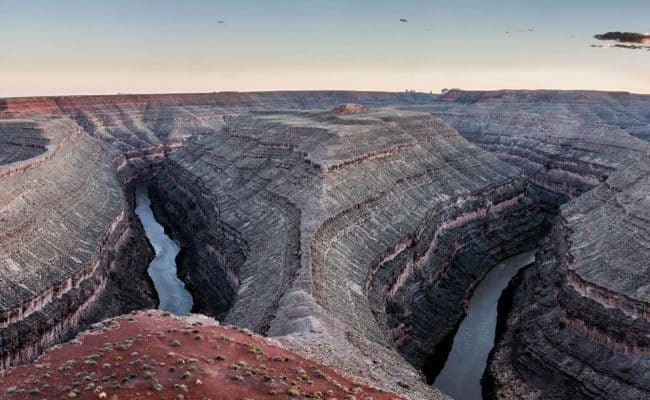 Big Bend offers visitors spectacular vistas, hundreds of miles of hiking trails and roads for exploring, the mighty Rio Grande River for float trips and some of the darkest night skies in the lower 48. 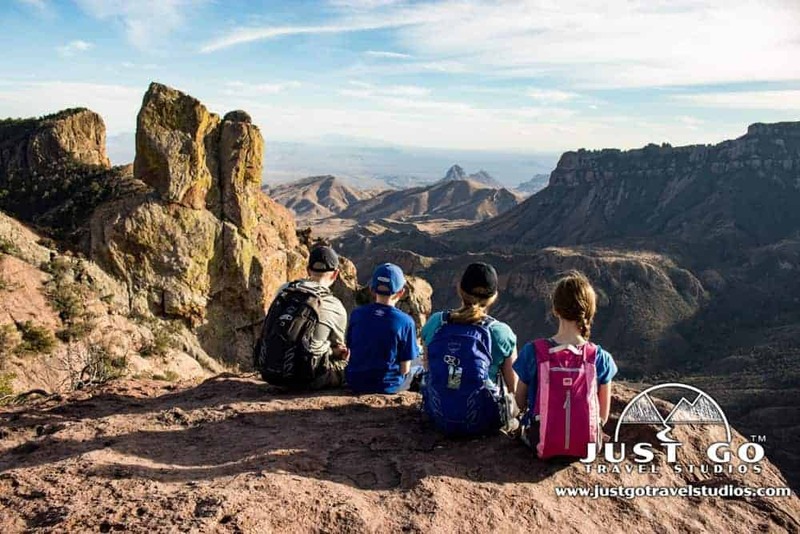 Our family’s favorite area of the park was the Chisos Basin, located in the heart of Big Bend. The uphill drive into the basin area yields a dramatic shift from desert landscape to forest. The basin supports an entirely different ecosystem than the rest of the park. For an excellent spot from which to watch the sunset (or take in the beautiful basin view), take the short, paved Window View Trail. Some of our favorite longer trails in the park can also be found in this area. If you only have time for one hike in Big Bend, all five of us agree that it should be the Lost Mine Trail! Another must-do is travelling to the west side of the park on Ross Maxwell Scenic Drive. Take in the views from the many overlooks and be sure to visit the Santa Elena Canyon Trail. This relatively easy hike starts where the Terlingua Creek and the Rio Grande River meet. Kids won’t be able resist playing by the water’s edge, and everyone will be wowed by this trail which includes towering canyon walls. TIP: Due to its remote location, be sure to book lodging far in advance (we highly recommend the Chisos Mountain Lodge or one of the campgrounds). Interested in reading more about visiting this amazing park? Check out 5 Reasons Why You’ll Fall in Love with Big Bend National Park. We took a road trip with kids through the American West, we were blown away by the unique scenery of Bryce Canyon National Park. 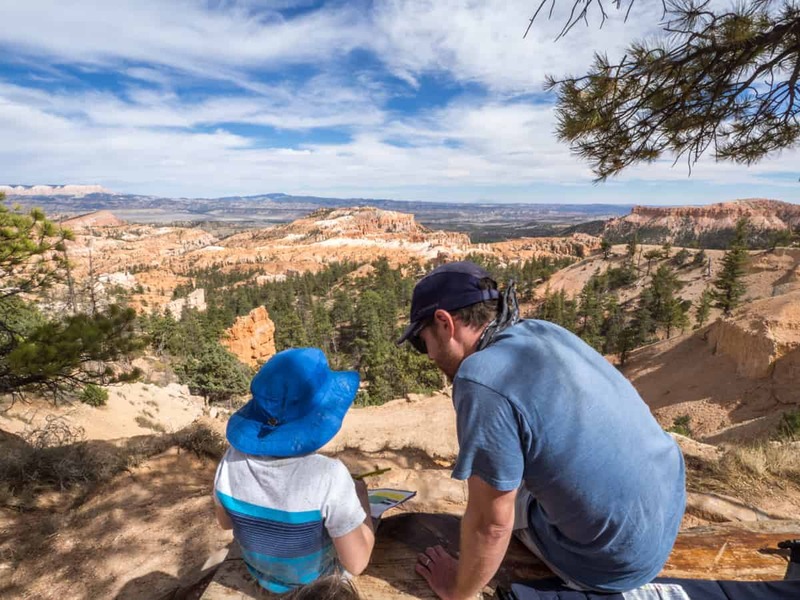 We love that there are so many scenic viewpoints at Bryce Canyon that families can access without hiking, as well as great trails to tackle like Queens Garden/Navajo Loop for adventurous families like ours! Though the trail is steep on both ends, it’s worth it to get down amidst the bright orange hoodoos. Since we are homeschooling our kids, our whole family really loved the extremely well-done Junior Ranger program there – it did a great job explaining the complex geologic processes in a way that even our young kids could understand. TIP: Even better, the add-on “I Hiked the Hoodoos” was a great incentive to keep the whole family walking and exploring through a long day in the park. Glacier National Park, also known as the “Crown of the Continent”, is an outdoor enthusiast’s dream. 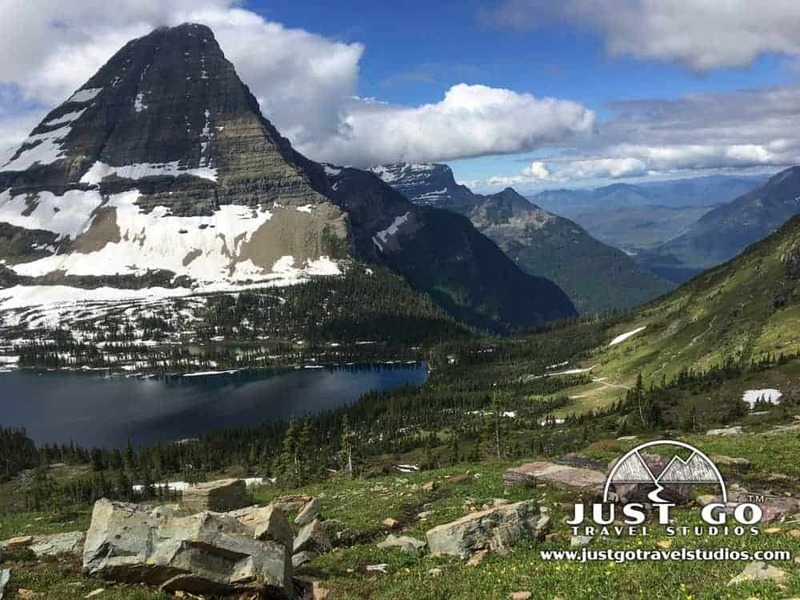 This spectacular region in northwest Montana offers alpine glaciers, high mountain peaks, an abundance of wildlife, waterfalls, alpine meadows and so much more! Family friendly activities can be found throughout the park. Our favorite is most definitely hiking! With over 700 miles of trails to explore, Glacier National Park has something for hikers of every ability. If you’re looking for an easy, family-friendly hike, try Trail of the Cedars. This loop, which winds through an ancient forest, is part boardwalk (wheelchair and stroller accessible) and part dirt. A footbridge that crosses Avalanche Creek provides a beautiful view of the lower Avalanche Gorge. Looking for something a little longer for older children? The 2.8-mile round trip Hidden Lake Overlook hike is a must-do. The hike is very popular for good reason—the views are stunning, AND the area is frequented by mountain goats and bighorn sheep! Worn out from all the amazing hiking or just prefer to be lakeside? Spend an afternoon at one of Glacier National Park’s many lakes. Canoes and kayaks can be rented at Apgar, Two Medicine and Many Glacier and provide an excellent way to see the lake from a different perspective. Additionally, Glacier Park Boat Company gives tours on five lakes in the park. Above all, Glacier National Park is a great place to reconnect with nature and family. We’ve been to a lot of beautiful places in the past few years with our family, but this one is even more beautiful than you can imagine! TIP: If you prefer lodging inside the park, be sure to book a year in advance! Interested in reading more about visiting this amazing park? Check out 10 Reasons Why You’ll Fall in Love with Glacier National Park. We spent a fabulous 2 weeks on the US west coast this summer. One of the best experiences was our trip to the Grand Canyon. Visiting one of the 7 natural wonders of the world was high on my wishlist and I was glad it turned out to be a good experience. You can do a day trip to see the park from Vegas – Sedona – Flagstaff. 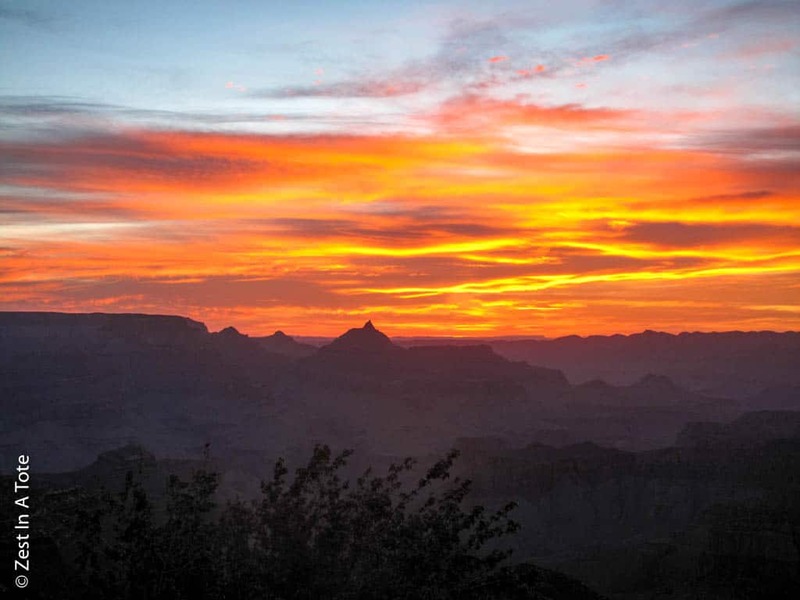 But if you are visiting Grand Canyon National Park with kids, my suggestion would be to spend at least a night at, or near, the park. We had planned our trip in advance and booked accommodation within the Grand Canyon National Park on the south rim side. It was so convenient to be in the park to get up at dawn to chase the sunrise, walk outside to see a thousand stars at night and stand at the rim to see the sunset. TIP: Many of the hiking trails in the Grand Canyon aren’t practical with kids. We opted to do the Grand Canyon bike tour with our 7 year old. I would recommend this activity to all families visiting the Grand Canyon. The stunning Grand Teton National Park is arguably one of the most beautiful in the USA. It also has one of the most unique history’s, involving opposition by local farmers and a secret plan by John D. Rockefeller, Jr. and Horace Albright that ultimately made the park what it is today. This section of the Rocky Mountains is a haven for avid hikers, rock climbers, skiers, photographers and wildlife enthusiasts. Because of the distances between the attractions in the park the best way to get around is to drive, or if you’re up to it, ride your bike! 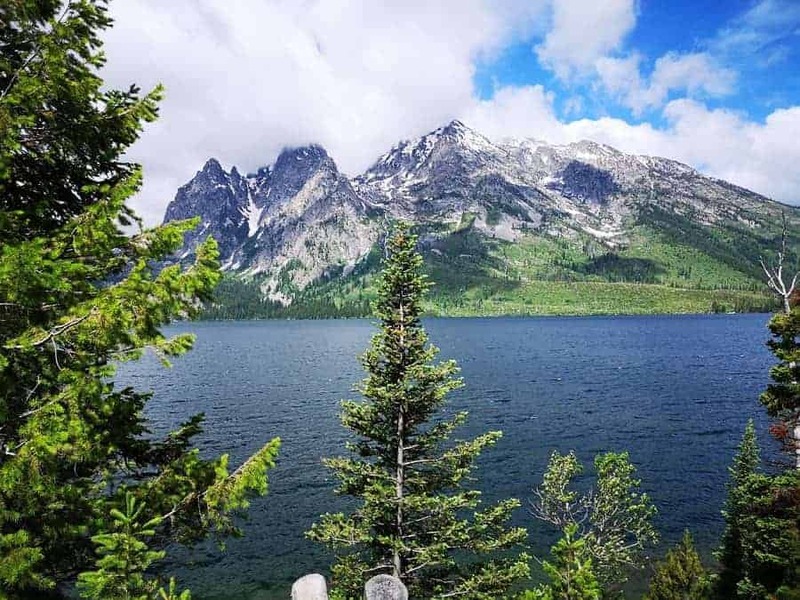 Be sure to stop at the many overlooks to take pictures of the stunning landscape at Grand Teton National Park. Kids enjoy seeing the wildlife at Grand Teton. We saw elk, foxes, and a black bear, who according to the rangers was about two years old and had just got the boot from his mother. We met a ranger who was related to the famous John Muir and learned about the differences between brown and black bears. Grand Teton is bear country, so if you are heading out into the woods make sure you’re prepared. TIP: Camping in the park is pretty standard with all the usual bear boxes, water, hook-ups and amenities. All campgrounds are on a first-come, first-served basis and camp fees are dependent on which ground you stay in. The popular ones fill up fast so plan to arrive early! We enjoy taking road trips to visit the US National Parks. Read more here. The Hawai’i Volcanoes National Park is along the southern shore of the Big Island and includes the active Kilauea volcano. We spent a full day in this national park with 4 small children and realized the volcano was the kids’ least favorite part of the park…go figure! Our kids took a few looks at the volcano crater from the designated lookout and quickly moved on. TIP: If you’re traveling with kids, the steam vents, Thurston Lava Tube and Chain of Craters Road are musts for your itinerary. Steam vents can be spotted along the road just past the Kilauea Visitor Center – the kids will love to see the steam coming out of the ground all around them. Thurston Lava Tube is just that…a lava tube. You’ll travel through a gorgeous and lush rainforest on your way to the lava tube entrance, which is a stark contrast to the dark and cool lava tube you’ll walk through. The tube is lighted, so it’s not at all scary and easy to maneuver. You’ll find plenty of gorgeous views along the drive on Chain of Craters Road, which will take you all the way to the water where you can hike on old, black lava flows that meet the clear, blue ocean. 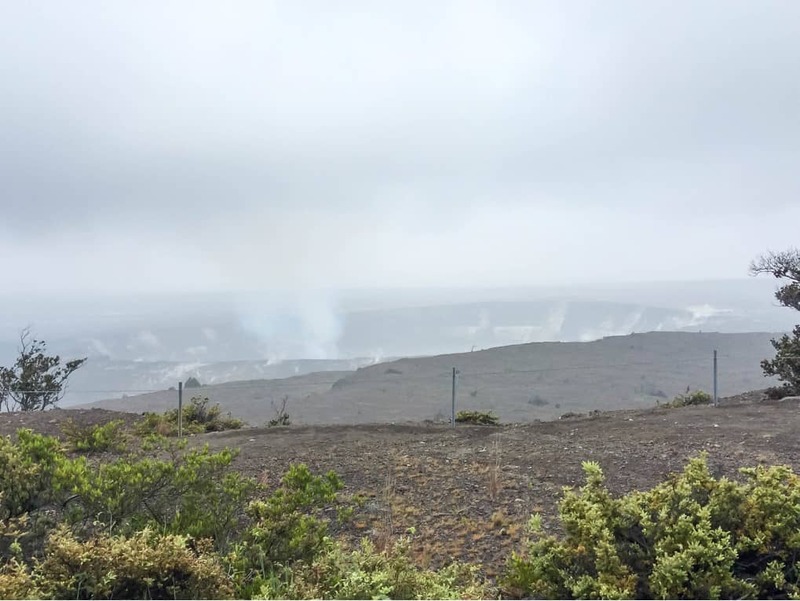 Plan a whole day at Hawaii Volcanoes National Park with kids. Be sure to dress in layers – it gets chilly at the top and toasty on the old lava flows by the shore. Since the volcano has been very active in recent months, it’s always a good idea to check the national park’s website prior to your visit. Read our tips for a Hawaii Big Island vacation with kids HERE. 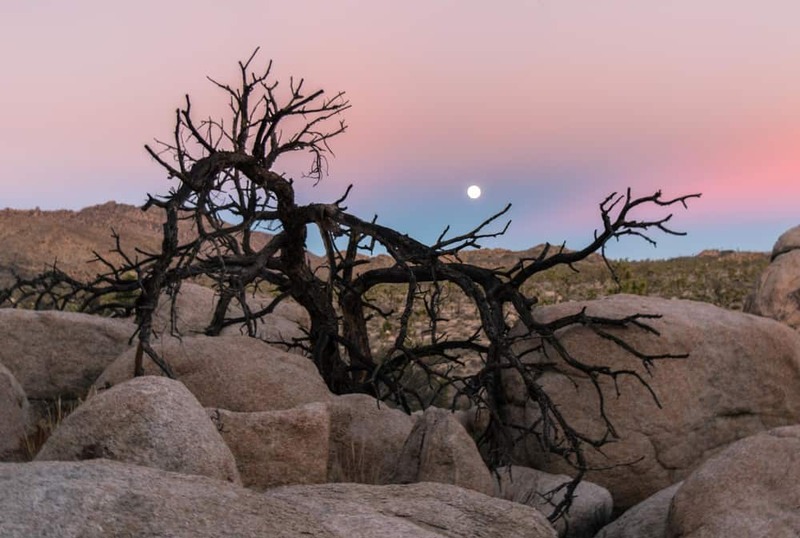 Joshua Tree National Park is a sprawling desert ecosystem covering more than 800,000 acres in southern California. The park is named for the wild-armed Joshua Tree, which is actually a species of yucca that has been lovingly coined the desert dagger. There are endless opportunities for outdoor-loving families to explore Joshua Tree, with some of the most family-friendly hikes of any park we’ve visited. There are many day hikes at Joshua Tree under two miles and without huge elevation gains which are perfect for kids. Some of our favorite hiking trails included the Skull Rock Nature Trail (1.7 miles), the Live Oak Loop (.9 miles), the Barker Dam Loop (1.5 miles), and the Hidden Valley Nature Trail (1 mile). TIP: We highly recommend Jumbo Rocks campground for family camping at Joshua Tree. 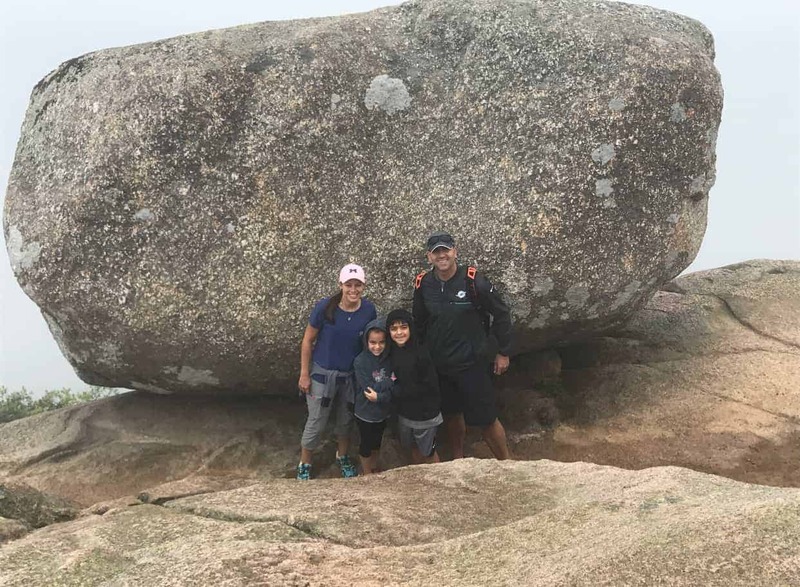 The endless fields of giant boulders provide a fantastic backdrop for photography, and kids and adults will love exploring the surreal and magical landscape. There are 124 sites at Jumbo Rocks, none of which can be reserved in advance. Jumbo Rocks Campground is centrally located, and very close to family-friendly explorations in the Mojave Desert section of the park. Sequoia National Park became the second national park to enter into the national park system after Yellowstone in 1872. Our visit was the fulfillment of a lifelong dream to see the amazing giant Sequoia and Redwood trees with my kids. Here are a few things not to miss at Sequoia National Park with kids. Tunnel Rock: Located just outside the park entrance on the south side along General’s Hwy 198, you have to stop here for a photo op as you and the kids hold the rock up with your hands. Indian Head entrance sign: No visit is complete without stopping at the Indian Head Entrance for another photo op with this 1930’s wooden carved sign located at the southern entrance into the park. Tunnel Log: A log big enough to drive through?? What kid or grown up won’t love that? Giant Forest Museum: Stop off to at the Giant Forest Museum and visitor center before taking the trail to walk among the giants. This is also a great place for a picnic. General Sherman: After lunch, head in the car to the General Sherman Trail to see with your own eyes the world’s three tallest trees including the famous General Sherman. TIP: You may be wondering why we didn’t mention visiting The General Grant tree which is the largest tree by circumference. The General Grant is actually located within King’s Canyon National Park which was added to the National Park System during the administration of Theodore Roosevelt. In 1943 the two parks were joined and the official name is now Sequoia & King’s Canyon National Park. Read more about our family vacation to Sequoia & King’s Canyon including seeing the General Grant. Living close to the Washington, D.C area, Shenandoah National Park is a huge respite for us from the city. With its kid friendly and dog friendly trails, multiple entrances with quick access to the park, welcoming visitor centers and inexpensive trail maps (only $2), it is a must visit park in the Virginia area. 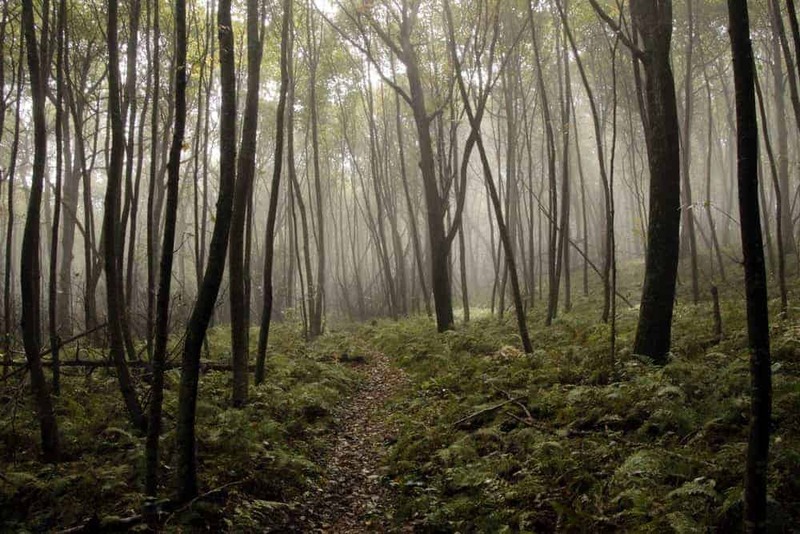 Shenandoah National Park is perfect for families with a wide variety of trails, from long hikes, to waterfalls and vistas, they even have a handicapped accessible trail for everyone to enjoy the outdoors. It is easy to navigate the park with a main road, multiple pull offs for views and mile markers to find which trail you’d like to hike. The visitor’s centers have helpful staff and hands on displays to really engage children. There is also a campsite (with nearby sundries store), cabin rentals and a hotel which caters to travelers of all types. We really enjoy visiting the park throughout the year, but we have to say Fall is absolutely stunning. TIP: Fall activities at Shenandoah National Park include hiking, apple cider donuts and a family friendly winery located outside the park! 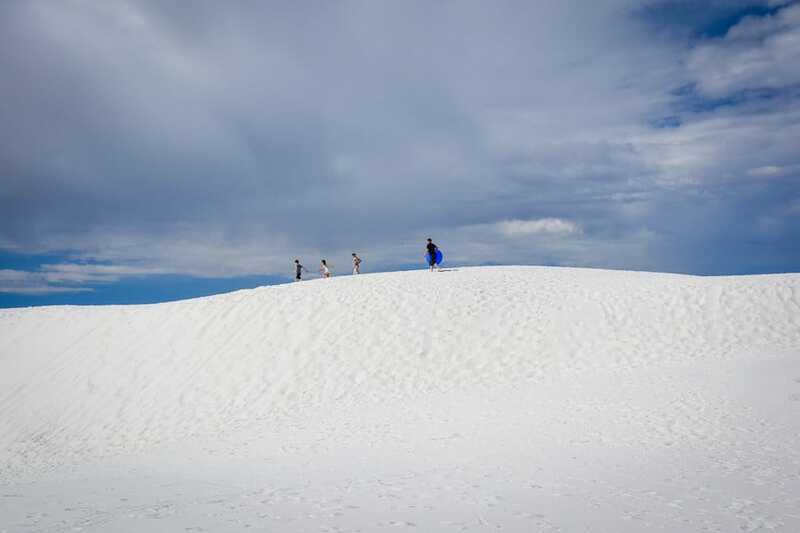 In southern New Mexico, you’ll find White Sands National Monument, a breathtakingly beautiful place unlike anywhere else in the country, and one of our favorite places to go with the whole family. The small Visitor’s Center at the front of the park is packed with information covering the history and ecology of the park, as well as a little gift shop where you’ll definitely want to stop and pick up sleds. TIP: Sleds??? Oh yeah, you can go sledding on the sandy white dunes and it absolutely should not be missed! The kids spend HOURS running up the hills and sledding down and always remark that it’s so much more fun sledding when they’re not cold and wet from snow. Be sure to pack sunscreen though because even though the gypsum sand is completely cool to the touch, it does reflect the sun and you can end up with a sunburn in no time. Also, make sure to bring plenty of water– there is nowhere to buy it once you’re out in the dunes. We wrap up our evenings with the Sunset Stroll that the National Park Service runs nightly about an hour before sunset. In addition to learning about the park in a very kid-friendly way on the mile-long stroll through the dunes, you are also treated to an amazing view of the sun setting behind the San Andres Mountains. White Sands National Monument is a must-do for any family planning a National Parks trip in the Southwest. Read more about our adventure here. I have never traveled with kids to any national park, but I was a child when I visited my first national parks. I am forever thankful that my parents had a love of the outdoors and shared that love with me. I was 6 years old when my parents took me on a grand tour of Yellowstone National Park. This was not my first national park, but it was the first one I remember. We spent two weeks in the park. My father describes the trip as one massive buffalo watching trip. To hear him tell it, we stopped at EVERY herd of bison so I could watch them. Given I still stop at every herd of bison to check them out, he might be right. Our visit was just after the wolf reinduction project. This was a HUGE deal, I mean I learned about it at school. I became obsessed with seeing a real wolf. Then my parents told me we were going to Yellowstone. My parents tried to moderate my enthusiasm since there were only 31 wolves in the park and the odds were against us seeing them. My dad got me my own pair of binoculars for the trip and taught me how to spot wildlife with them. 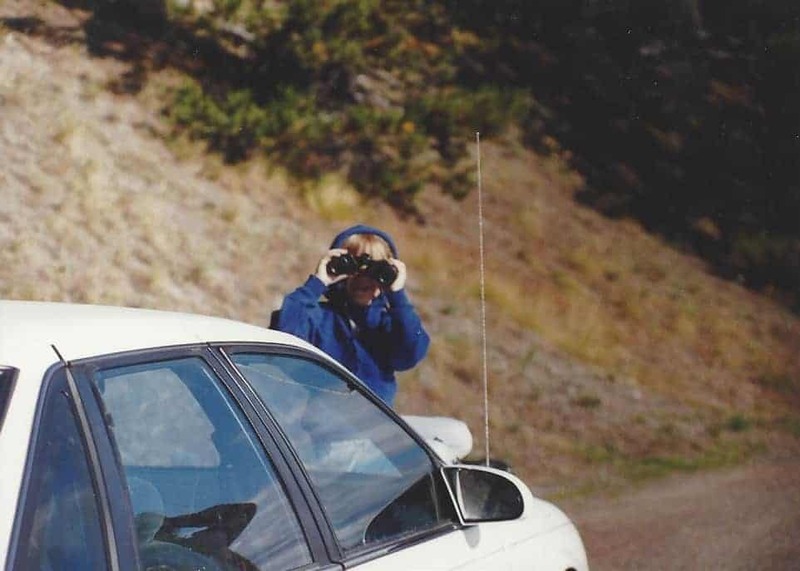 I will never forget watching the wolf walk out of the forest thru those binocs and the look my father gave me when he realized I was right. That trip to Yellowstone with my parents (and a later trip to Glacier National Park) opened my young eyes to the epicness of nature and started me on a path that has lead to visiting 47 other US National Parks with the goal of visiting them all. Read more about my tips for a Yellowstone vacation HERE. We had a great experience visiting Yosemite National Park with our toddler. Two things in particular made it wildly successful. One, we brought our baby hiking backpack so we could still hit all the trails we wanted and not be limited (we love our Osprey Poco kid carrier – click to see why we love it and where else we’ve used it! TIP: Two, we went in winter to avoid the crowds. We still encountered other folks braving the cold weather, but we missed the huge summer hordes! On our recent trip in early March – nearly spring, yes, but still plenty cold! – we were able to hit all the popular spots with ease. Lower Yosemite falls was beautiful and we spent a decent amount of time there taking in the waterfall views, but the trail was still packed with people since it was short and easy access. So, we were happy to also get some longer, harder hikes done that were more removed from the crowds (this is where that kid carrier came in handy). The trail to Vernal Fall footbridge had a healthy elevation change for a 1-mile ascent, so the crowds were much thinner. It was a moderately strenuous hike, but still doable, even with our son in tow. When we got to the footbridge and he became antsy, we were able to let him out to play in an opening off the side of the trail. We saw several other families tackle this hike, too. Children from toddlers to teens were navigating the climb, so it’s safe to say this trail is kid-friendly. It was admittedly colder as we got higher, but the exercise kept us warm, while layers, gloves and a woolly hat kept our kiddo cozy. 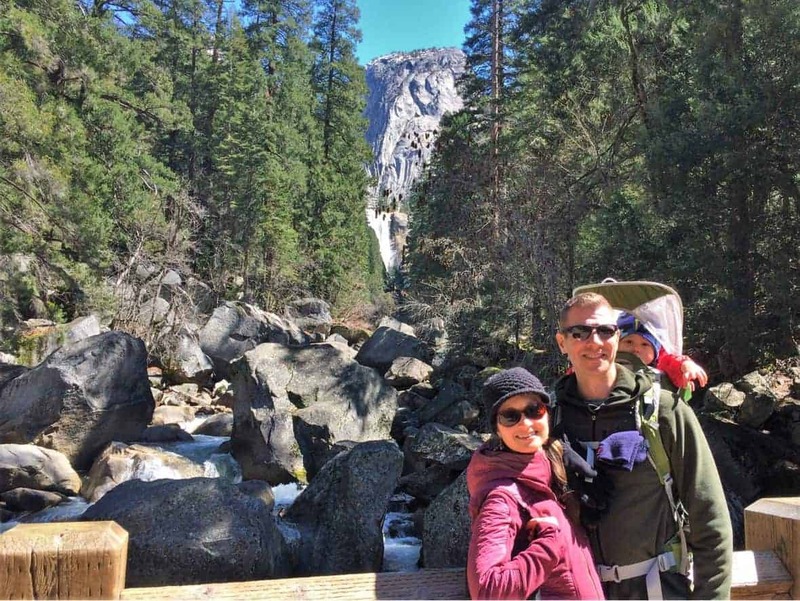 Our Yosemite family trip was a solid 10, and we’d recommend it to anyone! Zion is one of the best US National Parks to visit with kids. It is relatively easy to travel around because of the constant daily shuttles to different areas in the park, and the park offers a wide variety of interesting and fun hikes for kids of all ages. The epic sandstone landscape and tall canyon walls at Zion National Park offer an out-of-this-world and almost Jurassic Park like experience in which your kids’ imaginations can run wild. One of the best hikes in the park to do with kids (which is fun for kids and adults alike) is hiking The Narrows, which is a beautiful, tall canyon hike where you get to hike through shallow water your entire hike. It’s a unique experience that you’re not likely to come by at most parks, and is a great hike even if you happen to be visiting in the heat of the summertime. 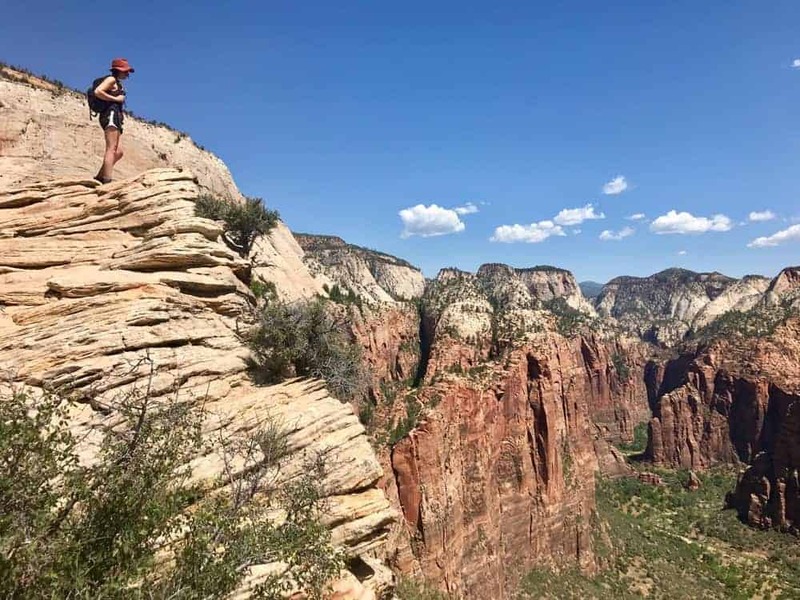 If your kids are older and you feel OK with them hiking on narrow and steep hiking trails, then Angel’s Landing can also provide a fun, and challenging hiking opportunity. I don’t recommend doing Angel’s Landing with small children though. It could easily be a dangerous hike with small children. TIP: The fun doesn’t just end at Zion National Park. This area of Utah is filled with family-fun hikes, such as the Kanarra Creek Hike just outside of Zion, that offers another cool canyon hike experience with fun ladders and waterfalls. However you decide to spend your time in Zion with kids, you won’t be disappointed. It will be fun for everyone in the family. We use Airbnb (here’s a $40 coupon) | Hotels.com | HotelsCombined to rent accommodations that have a kitchen. Cooking our meals saves us quite a bit of money compared to eating out, and it’s much healthier!